With countless medical advances and efforts to curb smoking, one might expect that life expectancy in the United States would improve. Yet according to recent studies, there's been a reduction in the rate of improvement in American mortality during the last three decades. According to a new study, a rise in obesity is to blame. The research was performed by Samuel Preston, a sociology professor in the School of Arts and Sciences; Yana Vierboom, a graduate student in demography at Penn; and Andrew Stokes, assistant professor of global health at Boston University. They used data from successive cohorts of the National Health and Nutrition Examination Survey from 1988 to 1994 and 1999 to 2010, as well as from the NHANES linked mortality files, which include follow-up into death records through December 2011. The final sample consisted of 25,269 adults aged 40 to 79. Rather than use a typical measure of obesity, body mass index, or BMI, recorded at baseline, the researchers calculated each person's lifetime maximum BMI. 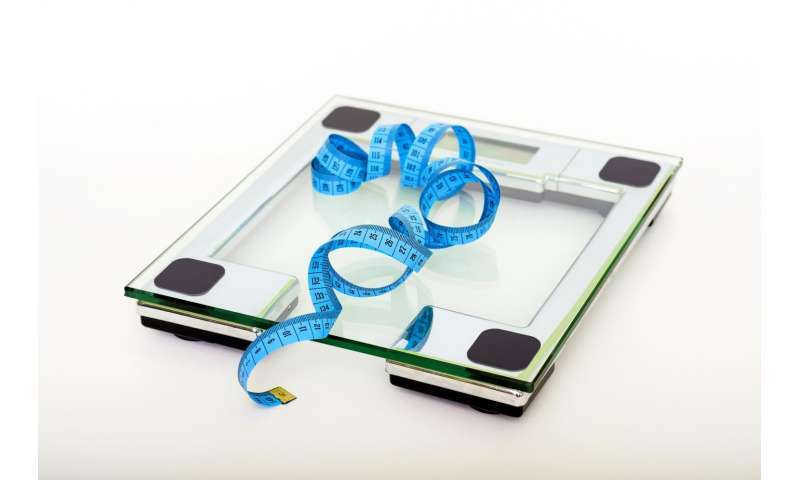 They found this measure to be more successful at predicting mortality because it is less susceptible to weight loss associated with illness, which biases estimates of the link between BMI and mortality. It also conveys important elements of weight history which may have enduring effects on health. "We established a time trend of mortality within this data set," Preston said, "by dating every observation as it moved forward. We estimated that the impact of rising obesity was about twice as important for mortality trends as the impact of declining smoking. Smoking is such an important variable in mortality analysis, and U.S. mortality is improving faster than it otherwise would because of reductions in smoking, but it's not improving fast enough to offset the effect of obesity." The researchers estimated that the mortality decline in the U.S. would have been about a half-percentage point faster than it actually was if obesity hadn't risen. According to the data, if age-specific death rates had fallen at the BMI-uncontrolled rate of 1.81percent per year, life expectancy at age 40 would have risen from 37.6 years in 1988 to 41.4 years in 2011. If death rates had fallen at the BMI-controlled rate of 2.35 percent per year, life expectancy at age 40 in 2011 would have risen to 42.3 years. This comparison suggests that rising BMI reduced gains in life expectancy at age 40 by 0.9 years during this period. "These results underscore the importance of the obesity epidemic for American health and mortality," Preston said. "When it's having this large an impact on the national level of vital statistics it puts the spotlight on the importance of stopping and reversing the rise in obesity."